The lead up to opening day for season 2014/15 was pondered, well in advance. 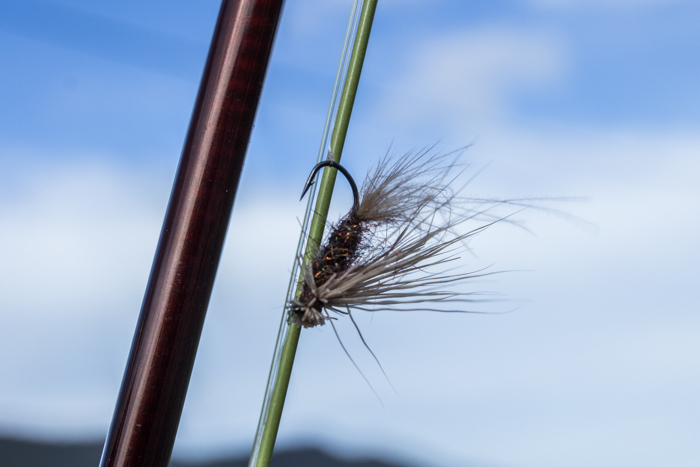 Thoughts of flicking a single dry fly in tiny headwater creeks was my preference. In my mind, I envisaged a cold day, a hint of sun occasionally warming the back of my hands and maybe, just maybe, a fish or two coming up to have a look at the surface, like seasons past. 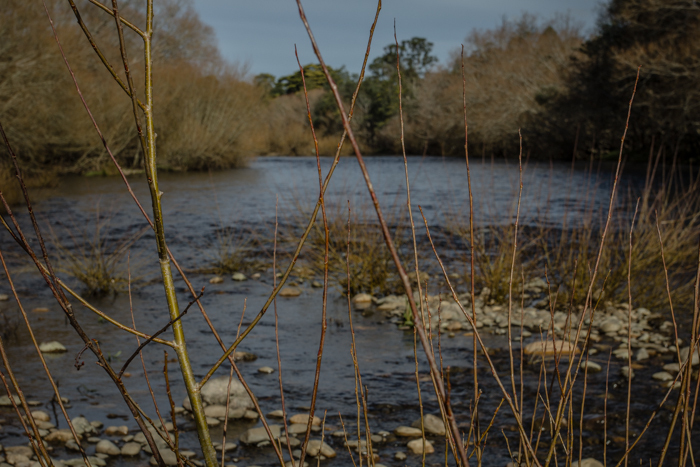 In the days leading up to the start of August, Tasmania copped the full brunt of a series of cold fronts that battered the state with gale-forced winds, flash flooding and blanketed just about anything above 4-500m above sea level in snow. There was even a small tornado, or at least something that could only be described as such, leaving a path of destruction along the NW coast. At my place, the damage was limited to the driveway being washed away (again), some flooding at one end of the house and the winds lifted up our garden shed and smashed it into the ground like it was balsa wood. Not really ideal weather for fishing! Needless to say, I had a little bit of clean-up to do following the storms, which coincided with opening day. 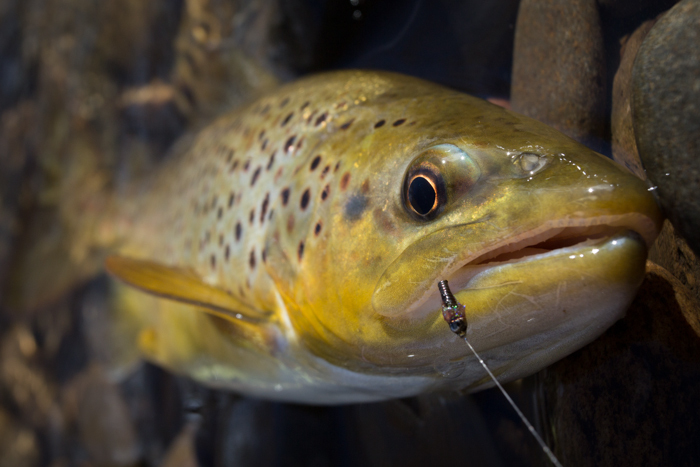 Woollen-clad mates were sending me images of coloured-up trout with snow-filled backgrounds. The cheek of them! I was surprised with the amount of people still getting out into the highlands despite the conditions and their level of success was comforting, but making me feel like a jealous ex-lover. Fast forward a week and my first opportunity the venture out presents itself. I snuck off to a Northern river on a still, mostly sunny day. The cooler temperatures remained but that sun was a welcome change. 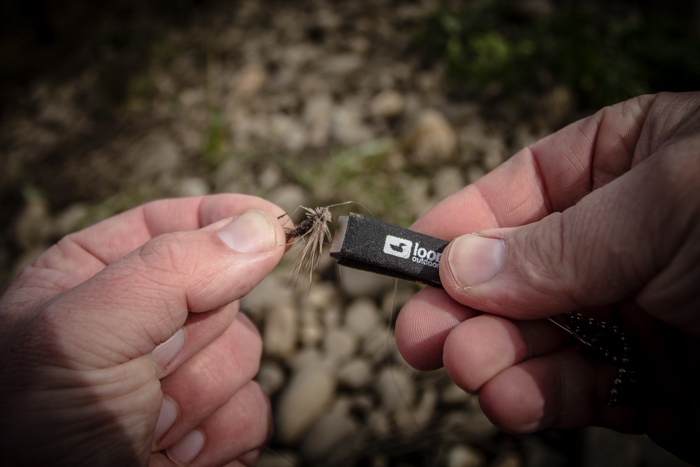 Starting with a dry and dropper combo, I thought the dry may be a little optimistic given the river was up. 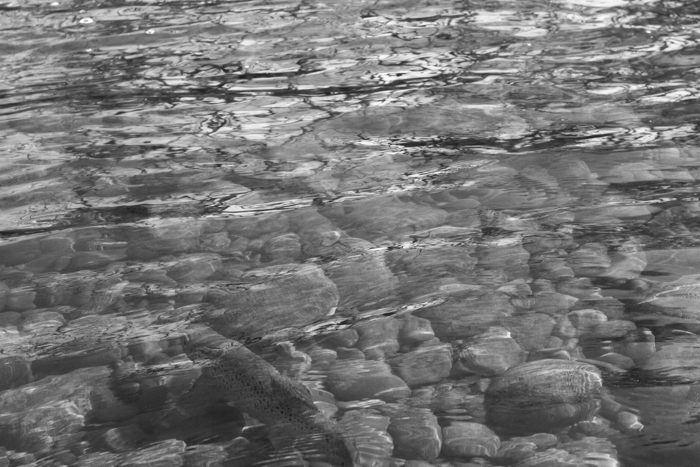 Still, the water was fairly clear and for the record – bloody cold! 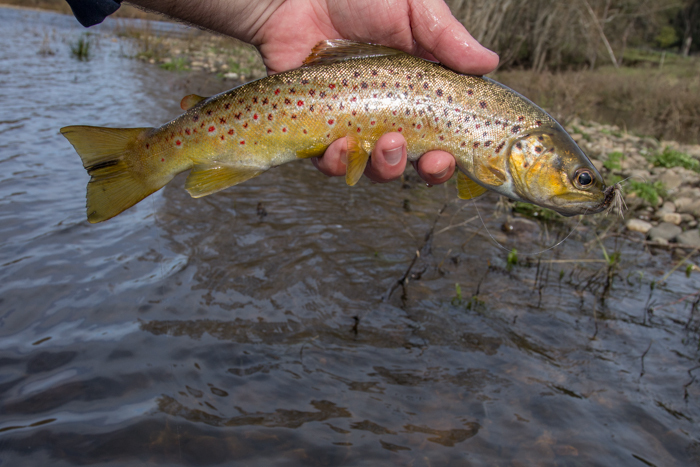 I began looking for likely holding water; not too fast, but not too slack and that’s where I found the first little brown. 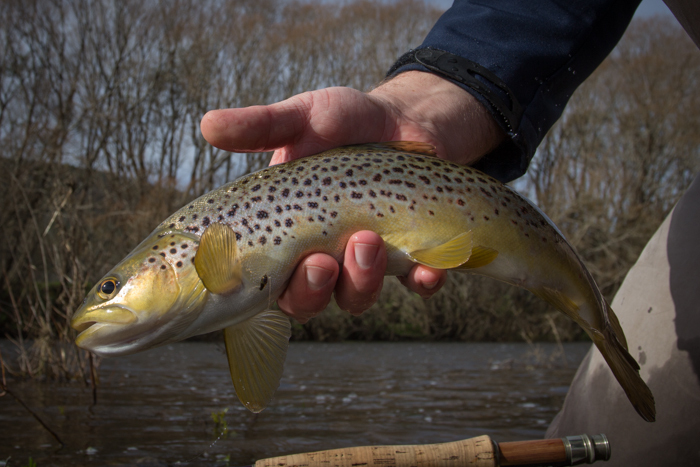 It quickly swiped a buoyant dry off the surface, connecting me to my first fish of the season. 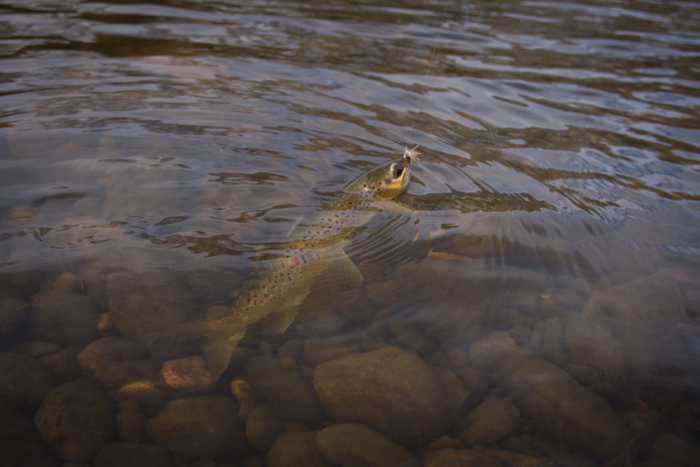 Did I mention DRY FLY? The session had only just begun but I was already utterly content, just stoked to be back on the river again. Any lingering troubles and subsequent thoughts of negativity were now well downstream and out of sight. The only vision I now see is opportunity and it lies within the bubble line and beyond the next bend. Taking my time, I trimmed up my fly, popped on some floatant and resumed casting, whilst beaming from ear to ear. 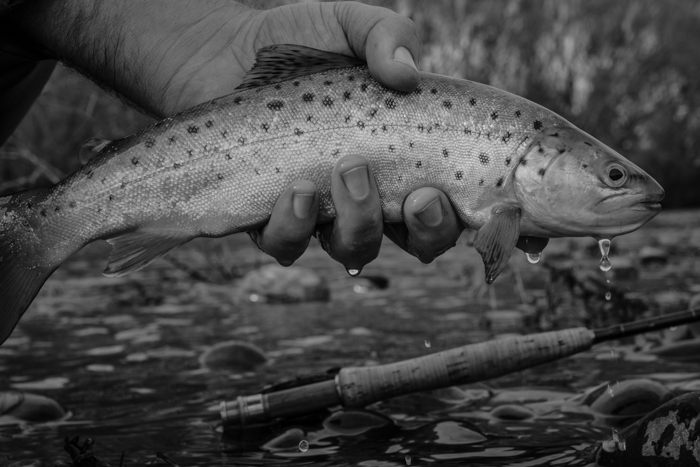 It might sound downright cliché but fly fishing is good for your soul. For me, it fixes pretty much anything. There’s an unexplainable element that just soothes the mind and the body, well apart from the moment when the strong current forced me into some improvised moves from ‘Gangnam Style’. It was during this amazing dance that another fish chomped my dry from the surface. You beauty! 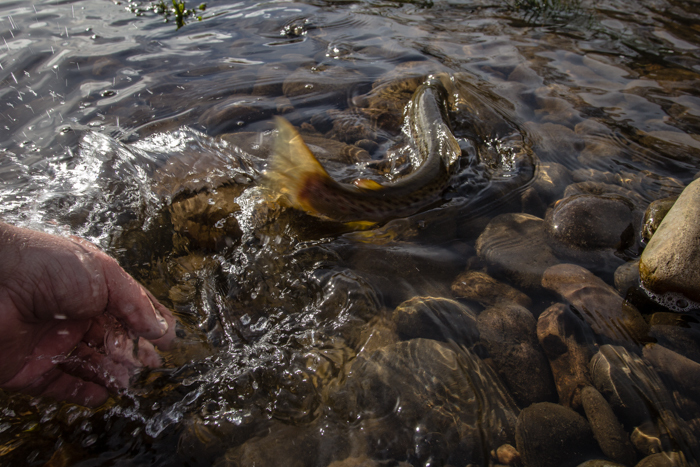 This fish displayed recent signs of spawning and was in poor condition, his empty stomach evident when laying in my hand. It had a distinctive black stripe on the tail too – I hope someone else identifies this marking down the track! I managed a few more fish in quick succession after this. 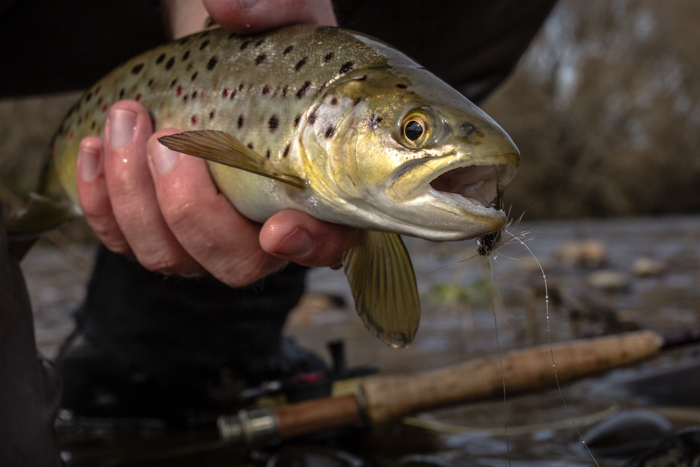 One of which became fouled on the nymph dropper when attempting to take the dry (that’s another way of saying that I probably lifted too late). 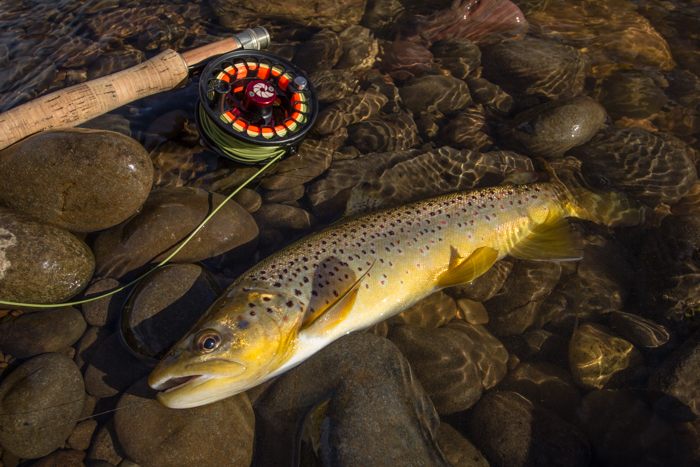 Another fish was a legitimate capture on the nymph, while the others were on dry fly. You can’t ask for much better than that at this time of year, being Winter and all! I’m already looking forward to the next therapy session. Thanks for reading! Haha – Thanks! Fish selfies aren’t imperative but adds to the archives!